Foursquare Frenzy At the Library! Comments Off on Foursquare Frenzy At the Library! The Foursquare Frenzy 2012 is in full effect! If you’re a Foursquare user and check-in to various venues on campus, be sure to upload a picture and you’ll be entered to win special prizes! The Frenzy runs from April 10-23rd. To learn more about the prizes, venues and rules head on over to this site. The Library is participating in several ways. 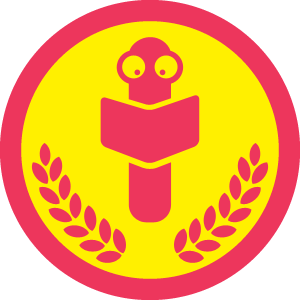 Simply by checking in to the Library, with a photo of the inside or outside of the building, after midnight you can earn the Bookworm Bender Badge! Are you the mayor of the Library? We are giving away the “Save Our World” water bottles to anyone who earns mayor status of the Library. There will also be a special prize for the first several people to check-in during the Environmental Art Show opening night reception!